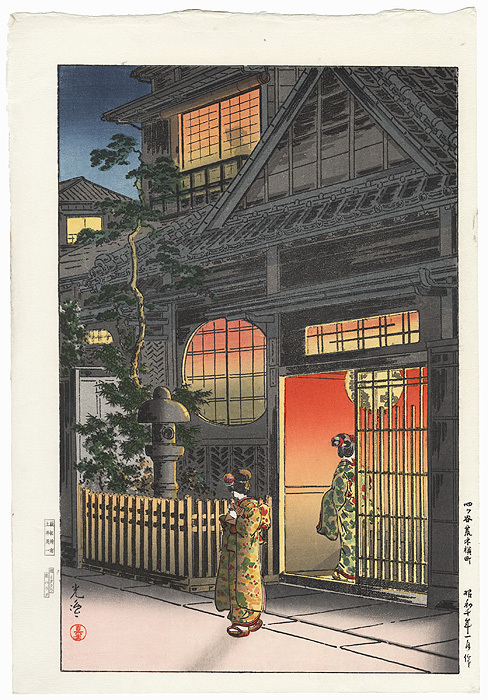 Comments - Beautiful image of two geisha at the entrance to a teahouse off a small lane in Yotsuya. Light spills from the open doorway, casting a rosy glow out on the street. 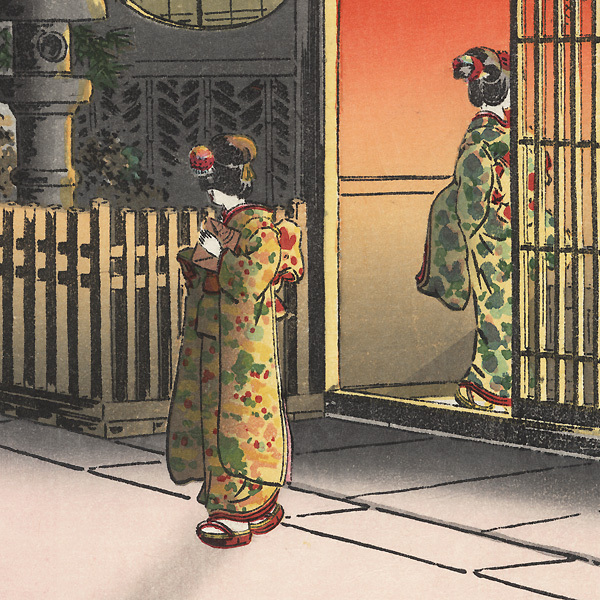 The silhouette of a beauty can be seen in the upper story shoji window. 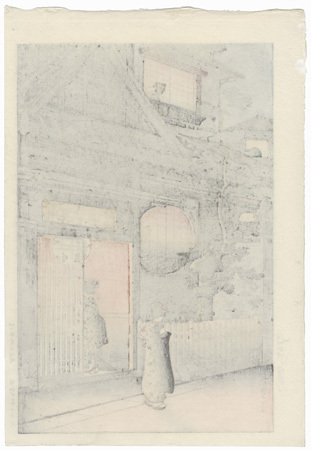 A lovely print with handsome architectural detail and attractive color. Condition - This print with excellent color and detail as shown. Drying hole at top left corner. Ink marks, a few creases at edges. Please see photos for details.